Moments after Clint Bowyer earned his ninth career victory at Martinsville (Va.) Speedway last month, he ran across the front stretch, climbed the stairs and jumped into the stands to share one or two Busch beers with the Southern Virginia crowd. It wasn’t just a Martinsville thing for Bowyer. He’ll do it anywhere he wins, especially at short tracks like Bristol (Tenn.) Motor Speedway and Richmond (Va.) Raceway, where he’s energized because the “the crowd is so close,” he says. God forbid if the Emporia, Kansas native ever won at his home track of Kansas Speedway in Kansas City. Bowyer is a race fan at heart with championship driving ability. 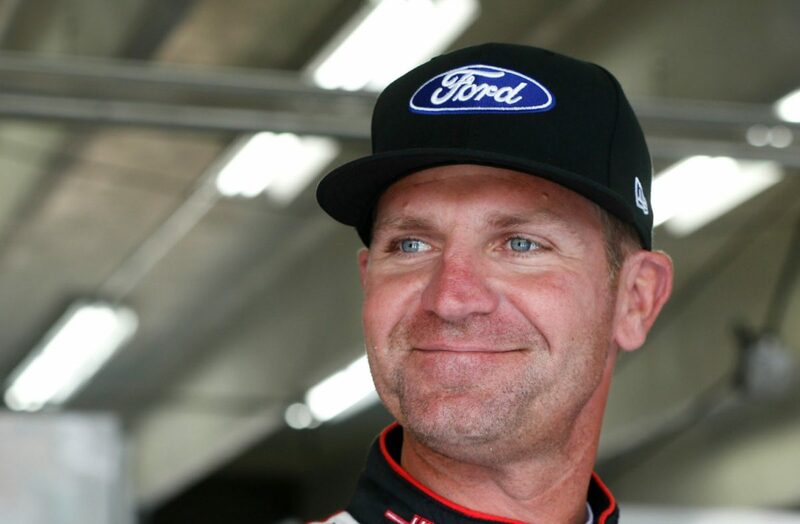 This weekend, the Monster Energy NASCAR Cup Series visits Richmond, where Bowyer and Ford will team up to get the word out about Ford’s Hall of Fans program to honor NASCAR’s most ardent supporters. All season long, Ford will be searching for the most passionate NASCAR fans. Bowyer knows the secret to becoming recognized as a loyal and worthy fan. Fans can go to www.nascar.com/fordand upload either a video explaining why they are the greatest NASCAR fan or a photo of themselves with an accompanying caption explaining why they are the greatest NASCAR fan. Six finalists, chosen by drivers and fans, will head to Miami during Ford Championship Weekend. Bowyer’s No. 14 Ford Fusion will carry the Hall of Fans paint scheme in Saturday night’s Richmond race and he hopes he’ll be celebrating with the fans afterward. If history is any indication, he has a real chance to get career victory number 10 at the .75-mile oval. Two of Bowyer’s nine career victories came at Richmond – in September 2015 and May 2008. He’s also notched four top-five finishes and has led 348 laps there. “It’s just a perfect racetrack,” he said. “It’s always been that way. Ever since I started in the Xfinity Series with Richard (Childress), it’s always fit my driving style. It’s that short track and I’ve always said that I wish we had four or five of these all across the country. They certainly hit the mark when they were making Richmond. It’s been a short week for Bowyer and the rest of the Cup Series competitors after rain at Bristol pushed Sunday’s race to Monday afternoon. Bowyer finished eighth Monday amid the rain and sleet on the .533-mile track situated near the Tennessee-Virginia state line. It marked the sixth time in eight races that Bowyer has finished in the top-11. The No. 14 team led by crew chief Mike Bugarewicz is now fourth in points going to one of Bowyer’s best tracks. Why is SHR a successful race team?